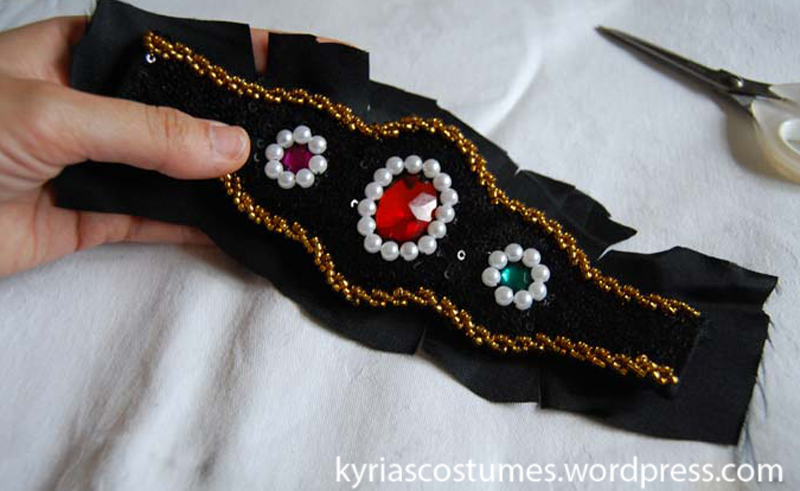 Most bellydance costumes come with accesoires, like arm bands, gauntlets or sleeves. 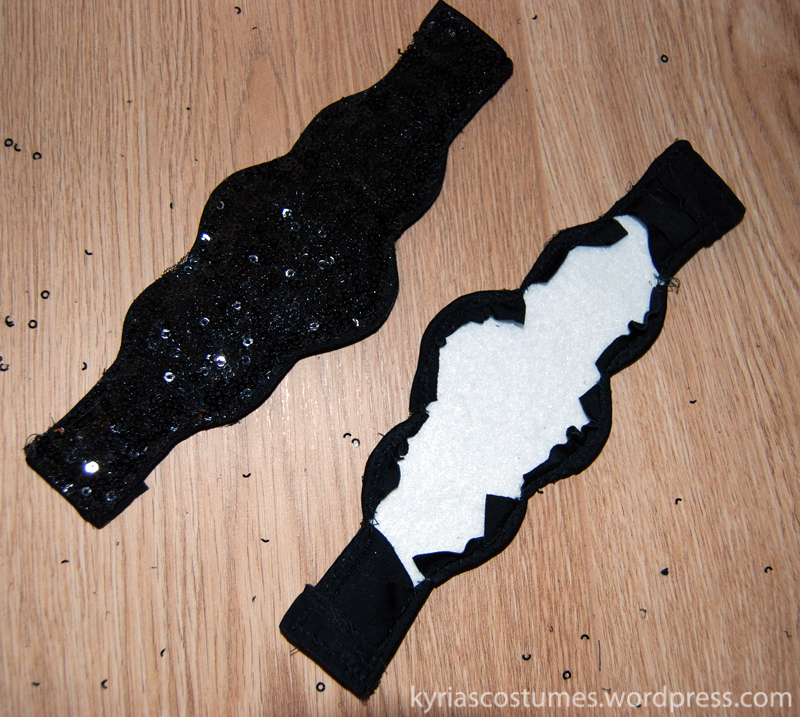 The past couple of years I was short on time so instead of making my costumes, I bought a couple and those costumes came with arm bands. 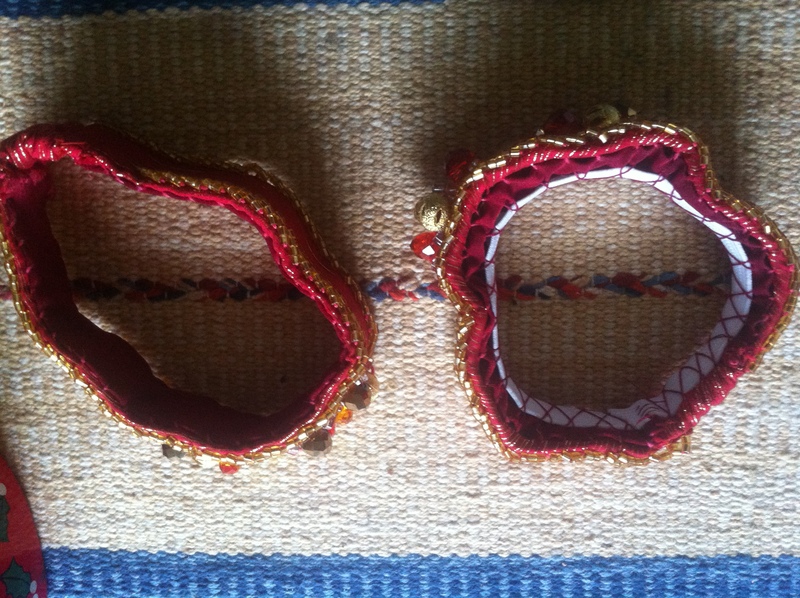 Arm bands that, despite the addition of a bit of elastic, wouldn’t stay on my arms. 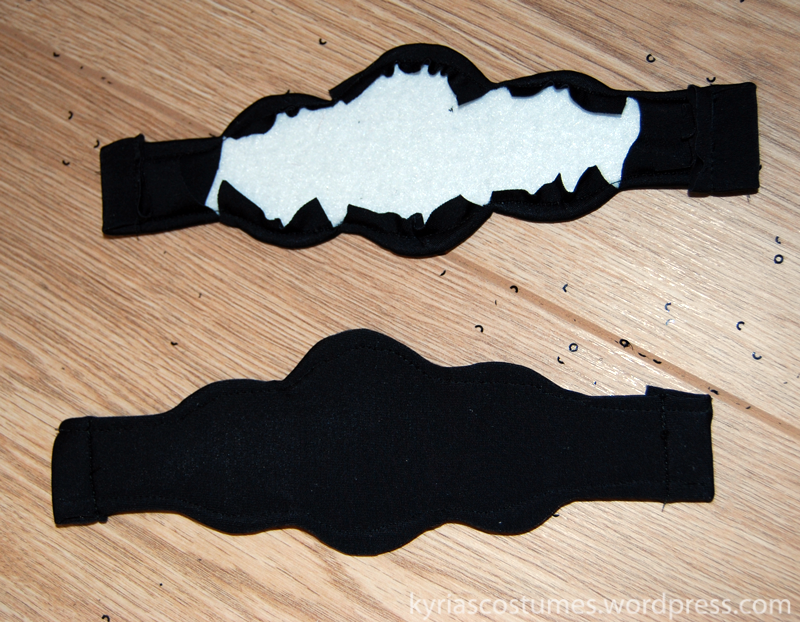 As this is a common problem, I’ll show you how I add elastic to non-stretch arm bands hoping that it will save you time and frustration with your own costuming endeavours. You could use any bottle, but it happens that the wine bottle was the first one available. Take the wine bottle and place it in front of you. Take the arm band, flip it inside out and put it on top of the wine bottle. Pull it down until it is fully stretched, like so. 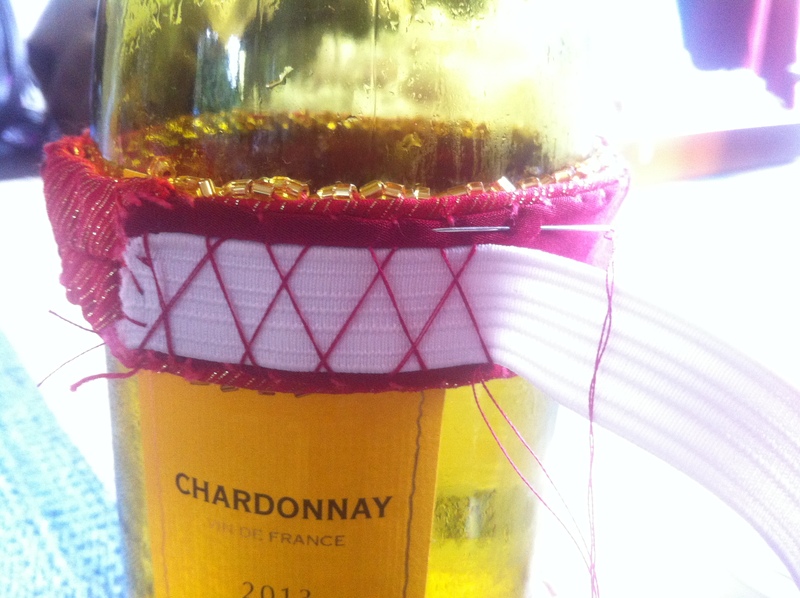 Arm band on wine bottle, notice the start of the ‘thread casing’ of the elastic on the left. Pin the elastic in place, thread your needle and create a ‘thread casing’ for the elastic by taking the needle across, pushing it through the fabric and emerging a couple of mm to the left of where you entered te fabric. Rinse, repeat. 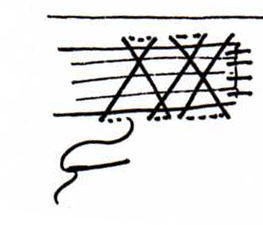 Here’s a drawing in an attempt to better explain what to do, but from a left hand perspective. 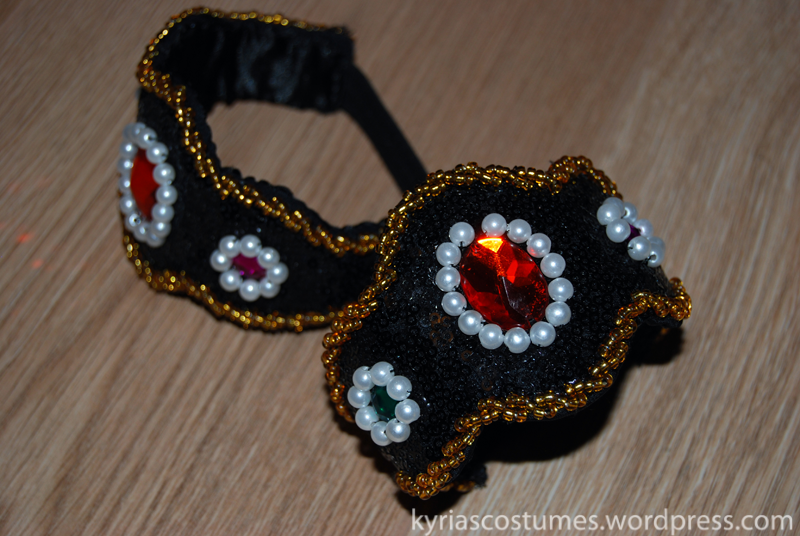 Continue sewing all around the arm band. 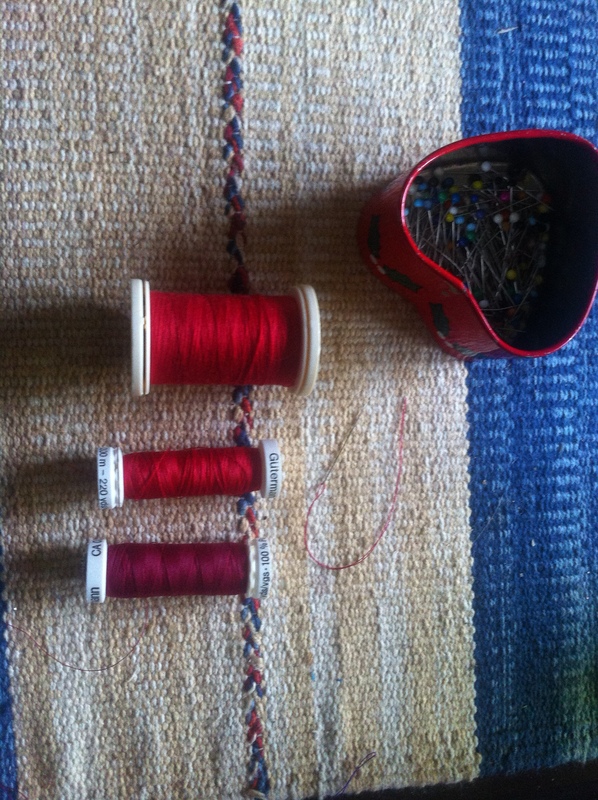 In the end, pull the elastic taut and sew into place. 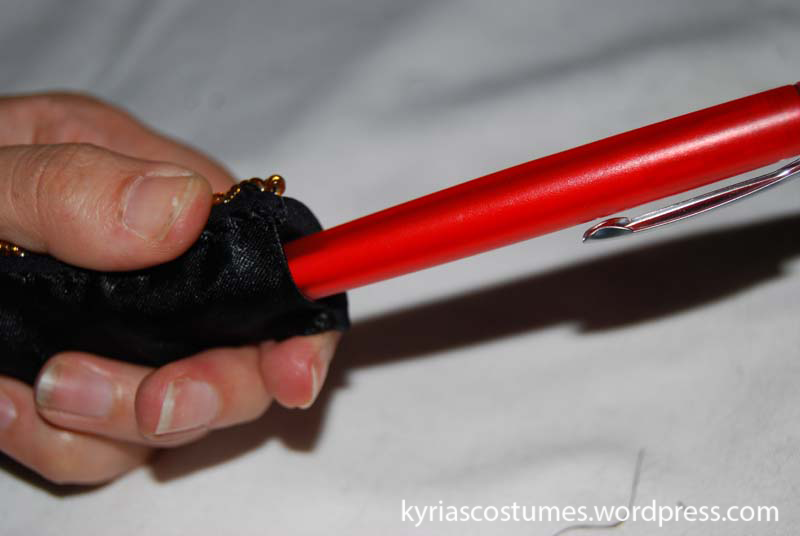 Put the arm band on your arm before cutting the exces elastic off to make sure it is the right fit. On the outside the armband will look identical, but on the inside it now contains elastic that will keep it secure on your arm. That’s it for today, keep on dancing and see you next time!